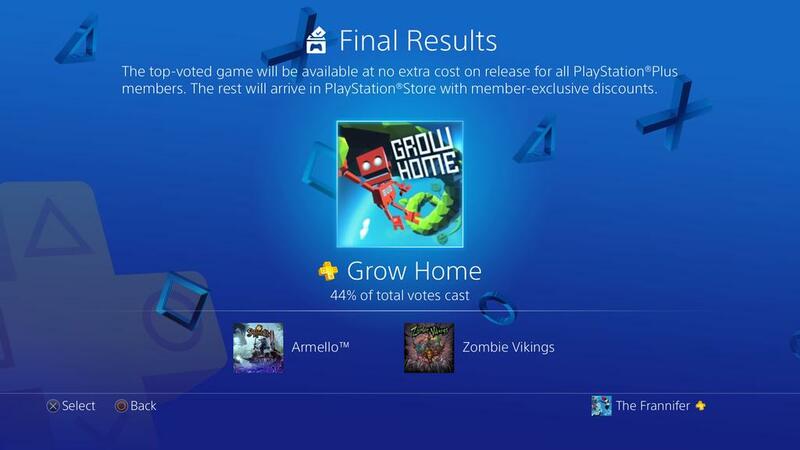 Grow Home is the winner of the first Vote to Play event for PlayStation Plus members. Vote to Play, Sony’s new event in which PlayStation Plus members get to vote on which games they’d like to see added for free though the service’s instant games collection, has announced its first winner. The three games that were vying for player’s attention were Grow Home, Zombie Vikings, and Armello. Grow Home won with 44 percent for total votes. The news was revealed on Twitter by PlayStation Plus European community manager Frannifer. This means that Grow Home will be free for PlayStation Plus members in September. Zombie Vikings and Armello will still get discounted in the same month.